In August 2018 Geneva Call organised a series of meetings with varied constituencies in Kabul and Kandahar. In addition to meetings with government representatives and other stakeholders, our staff also had the opportunity to visit numerous schools and to meet with teachers and children who had been affected by the conflict. On 26 September Alain Délétroz, Geneva Call’s Director General, took part in a high-level panel, organised in New York as part of the 73rd session of the General Assembly of the United Nations, entitled “Civilians Under Fire: Humanitarian Protection and Respect for International Humanitarian Law”. Several other distinguished figures from the international community were also on the panel, including the European Commissioner for Humanitarian Aid and Crisis Management, the President of the International Committee of the Red Cross, the Director General of Civil Protection and Humanitarian Aid of EU ECHO, the Minister for Europe and Foreign Affairs in the French Government, and the Foreign Affairs Minister of Belgium. During the summer months of 2018 Geneva Call organized three workshops in Iraq around the rules for the protection of displaced persons and prohibition of forced displacement in Baghdad, Anbar and Kirkuk. These workshops featured a new training tool on displacement, developed in-house by Geneva Call. 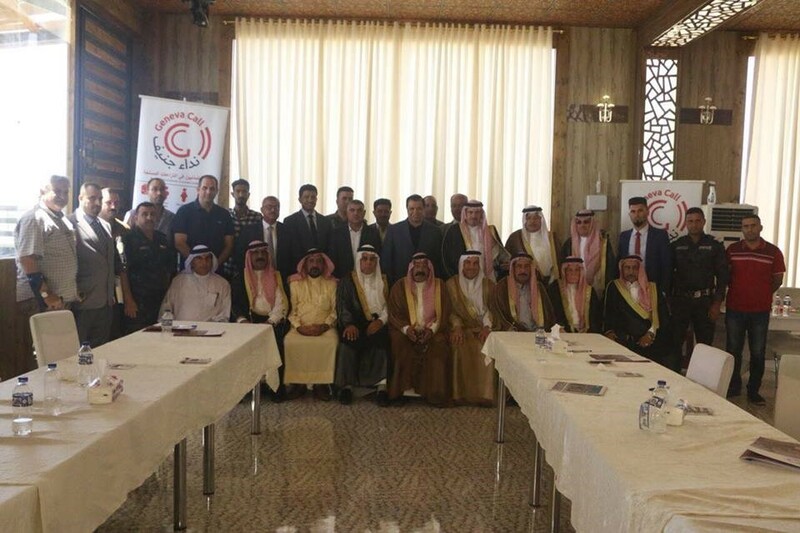 In Baghdad the training sessions were delivered to senior leaders of the PMF. 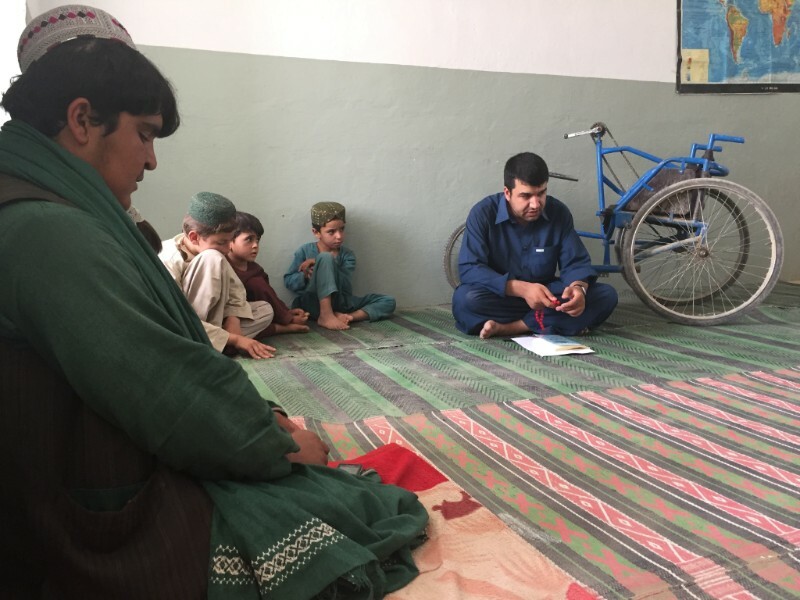 The participants were very interested in learning how they could continue to support internally displaced persons (IDPs), particularly in the conflict with the Islamic State, and were keen to share stories from their own experiences with displaced civilians. They suggested that future workshops should be organised for their own fighters as well as tribal and community leaders. 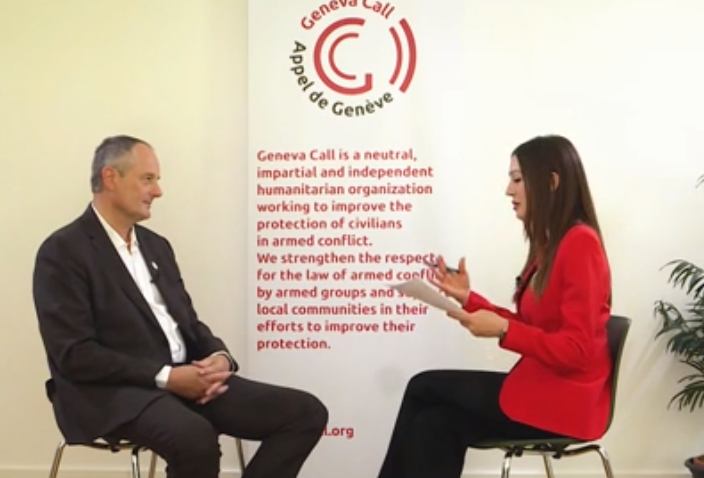 Mr. Délétroz was interviewed by CNN Money Switzerland, as part of their series on International Geneva, in which they feature personalities from the international cooperation, humanitarian assistance and human rights communities, based in Geneva. 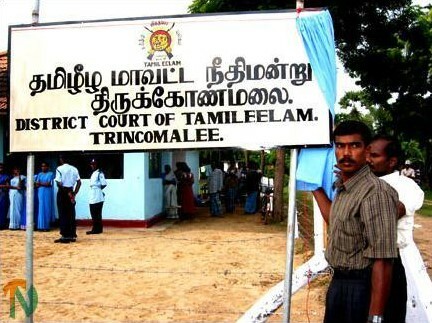 The administration of justice by armed non-State actors (ANSA) is a frequent feature in armed conflicts and has existed for decades. ANSAs often try their own forces, enemies and civilians, and some of them may be willing to provide certain international law guarantees in the processes they carry out. Copyright © Geneva Call, All rights reserved.